The Superskills H.I. Program is the best comprehensive On & Off ice program for H.S./Prep & Junior age hockey players in the area. This intense program is designed for players who are totally committed to reaching their full potential at the older levels. The H.I program begins on Monday June 25th and will consist of 24 on ice sessions & 32 off ice workouts. 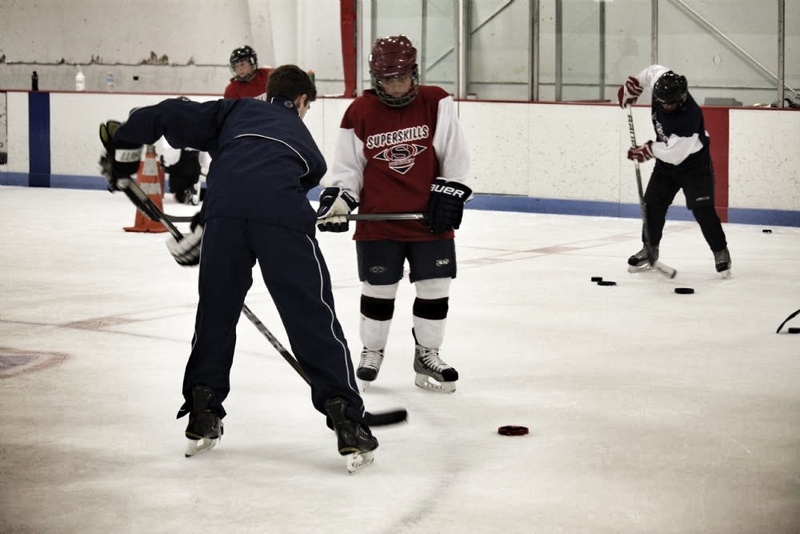 The three weekly on-ice sessions will include power skating, shooting and scoring, competition drills and game situations. The off-ice sessions will focus on speed, quickness and agility along with strength training. Having coached players at every level, Mario Mario Martiniello of Superskills knows as well as anyone what it takes to get to the next level. Mario and his staff of professional coaches will monitor each player closely and work with their individual needs in order to maximize each players development. Justin Soryal, head strength coach at Roots Athletes, has made a name for himself as one of the top strength & conditioning coaches in New Hampshire. Justin will structure an off-ice program that will suit each players individual needs. Players will be challenged to push themselves to a point where there is a genuine breakthrough in development.